After suffering from extreme morning sickness in the first weeks of her pregnancy, Kate will spend Christmas in the comfort of her family, a St. James Palace spokesman told PEOPLE on Saturday. In a major break from tradition, which was cleared after consultation with Queen Elizabeth, she and husband William will visit her hometown, Bucklebury to celebrate the holiday "privately with the Middleton family," according to the Palace. Since his marriage to Kate, William has made no secret of the fact that things will not always be done in the same traditional way. In some ways they are acting like any other couple, moving between both families during the holiday season. 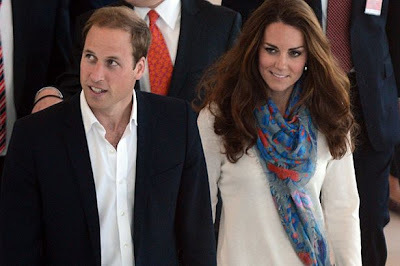 Moreover, William is also very close to his in-laws, and this is a signal he wants to involve them as much as possible in his married life with Kate. A Palace source says the couple will be heading to Sandringham, Norfolk, where the Queen and her husband Prince Philip and the rest of the royals are gathering at some point over the Christmas period.